The mission of a software company is to develop high-quality innovative products and services at a competitive price to its customers, and to do so ahead of its competitors. This requires a clear vision of the business, a culture of innovation, an emphasis on quality, detailed knowledge of the business domain, and a sound product development strategy. Customers today have very high expectations on quality, and expect high-quality software products to be consistently delivered on time. The focus on quality requires that the organization define a sound software development infrastructure to enable quality software to be consistently produced. 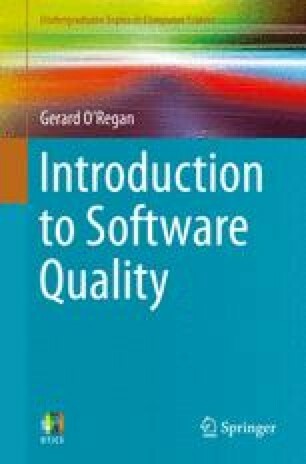 This chapter discusses the fundamentals of software quality and includes a brief history of the quality field including the work of pioneers such as Deming, Juran and Crosby. The contribution of Watts Humphrey who is considered the father of software quality is discussed, as well as a brief discussion of important topics in the software quality field such as software inspections and testing; software process improvement; metrics and problem solving; appraisals; customer satisfaction, and the cost of quality.